Howdy people? Time passes so fat, and its July now. Come to think of it, I've wasted lots of time on Overwatch and I'm proud of it. Joke aside, I was busying with my work again, and the only way to de-stress was to shopping and playing games. Well, once you finished up the quota for shopping, the only entertainment left is playing games. At the same time, I'm glad there are PRs who still remember me and occasionally, they send me interesting products to be reviewed. 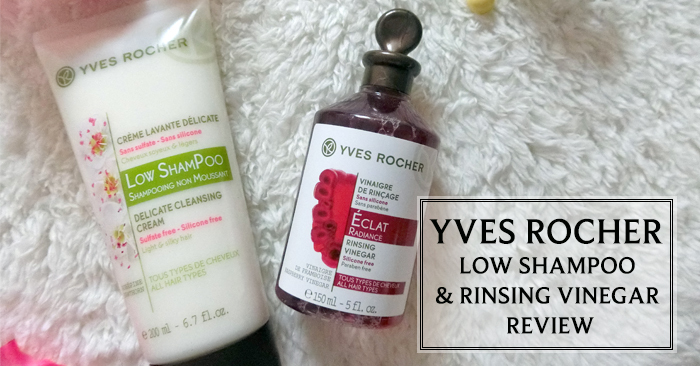 It is my honor to work with you and I am glad that I'm still in your list :D. One of the notable PRs is Yves Rocher, who gave me a chance to review these awesome babies: Low Shampoo and Rinsing Vinegar. I gave it a try on the Low Shampoo and Rinsing Vinegar. They do improve my hair condition but my hair need intense treatment for it to get back to its healthy condition. Let's find out what are they and how they look like. This is a no foam hair shampoo. You read it right, it is a no farm hair shampoo for healthy hair. It has a fancy nickname too! It's called Low Poo and it is a new way to wash the hair without any foam. You cab use this is daily basis like a hair conditioner. Apply it on the wet hair and spread the products with fingers from the roots to the ends. Rub gently before rinsing off the excess thoroughly. The hair shampoo has 0% of Sulfate, Silicon, Paraben and coloring. It is suitable for all hair types, and it is only priced at RM 43 for 200ml. It doesn't have any flowery scent, but the scent has a light grassy yet soothing scent. It should be the scent of Hawthorn (Aubepine), but I just couldn't describe the scent. I have super dry hair and I'm having hair splitting issue at the moment too. I bleached my hair two times in the past and it seems that the roots are getting destroyed and not healing as I thought. Using this Low Shampoo does make my hair feels smoother, but I don't see any huge improvement on fixing my hair splitting issue. This is a rinsing vinegar that enhances the natural shine and radiance of your hair. It is suitable for all hair types and it is used after the hair conditioner and final rinse of your hair. Vinegar is known for its hair-smoothing properties and the power to reduce limescale build up, which restores shine to your hair. It is priced at RM 48 for 150 ml, which I think is slightly expensive. I find the smell of the raspberry mixes with vinegar is slightly weird, but it is acceptable for my sensory experience. The only thing I'm concern if the smell of my hair after I rinse it off. There's a way to hide the vinegar smell, which is to put on your daily hair care essence or serum before you dry your hair. Do I need to use another shampoo after I use the Low Shampoo? Nope nope. 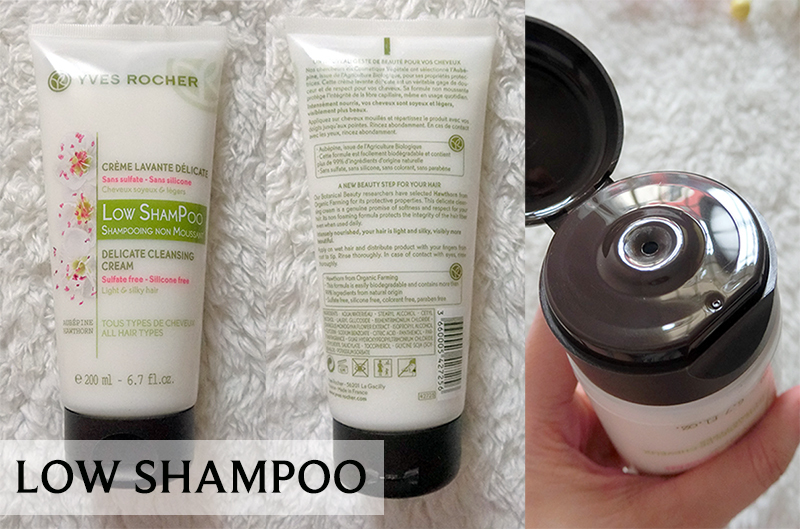 You do not need to use another shampoo because Low Shampoo will be able to cleanse and nourish your hair. I don't feel my hair is clean using this Low Shampoo. I get what you meant. We are so used to bubbles for cleansing and now that there isn't any bubbles foam using this Low Shampoo, it is common that you feel that way. Give it a try, and treat it as using a hair conditioner to wash your hair. Do I need to put on hair conditioner after using the Low Shampoo? Optional. If you have the habit of putting hair conditioner, you can use it after the Low Shampoo. How do I use the Rinsing Vinegar? Pour on your palm and massage the products onto your hair roots to the ends. After that, rinse it off one time only. 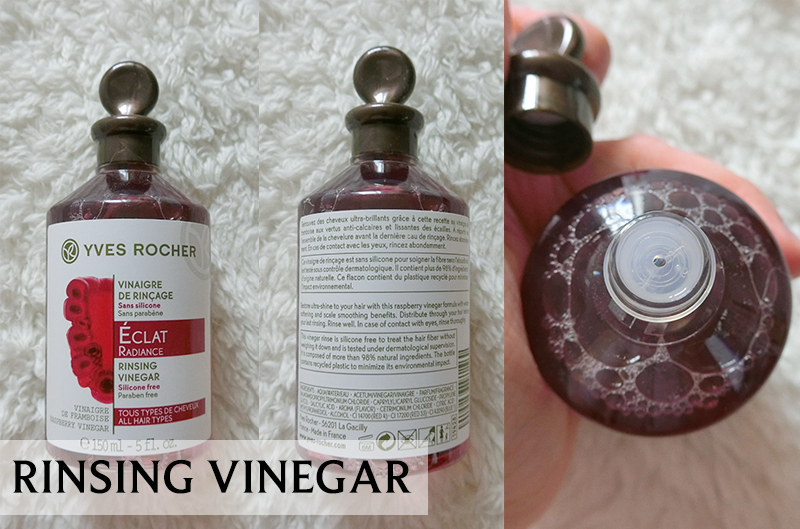 I don't like the vinegar scent, how can I get rid of it? You can put on hair cologne to cover up the scent. However, the scent is not as heavy as you think and it is easy to cover up with hair serum / hair cologne. Disclaimer: Products were sent to me for review purpose. All opinions expressed are my own, which based on my personal experiences and preferences on the product. Results may vary on different person.